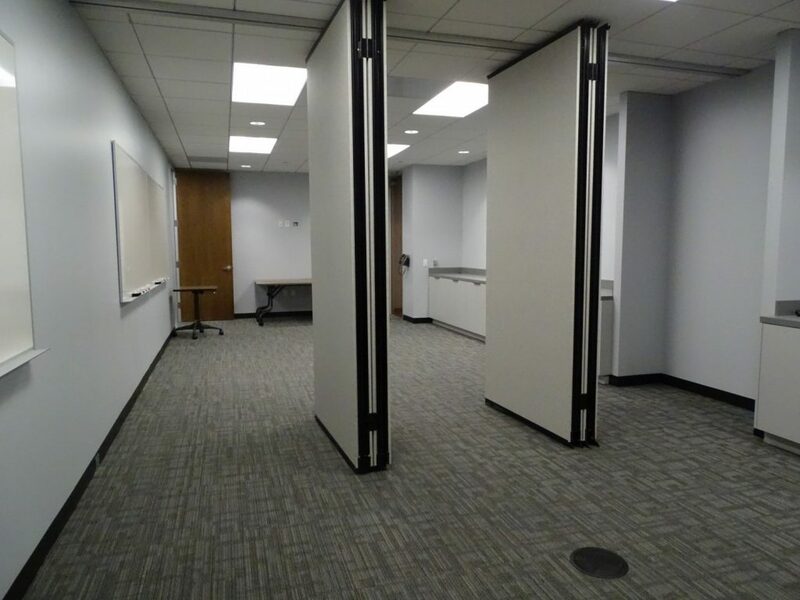 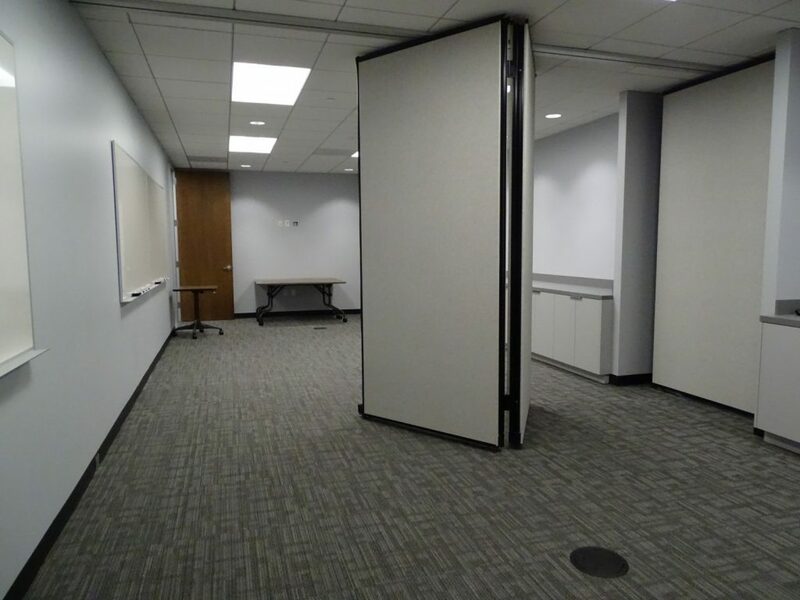 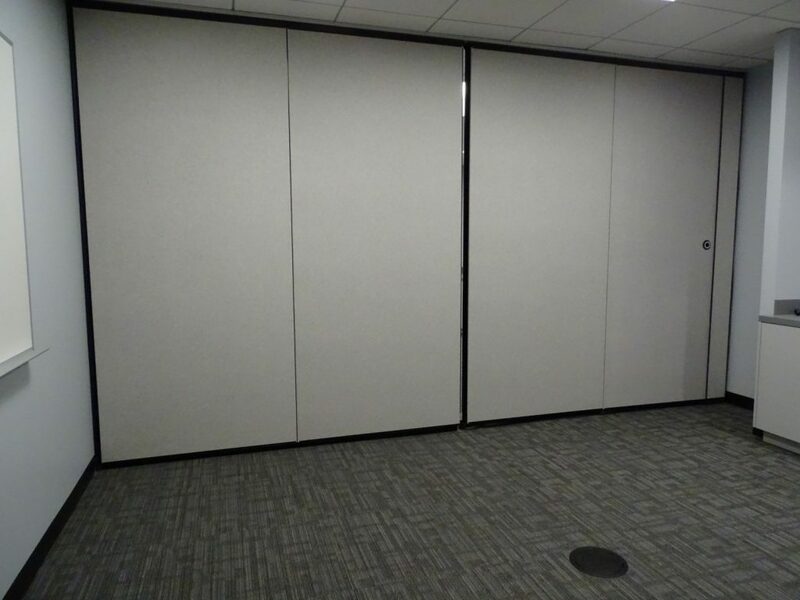 While we provide some of our largest operable partitions for hotels and school gymnasiums, many of our projects are for training and conference rooms to maximize space. 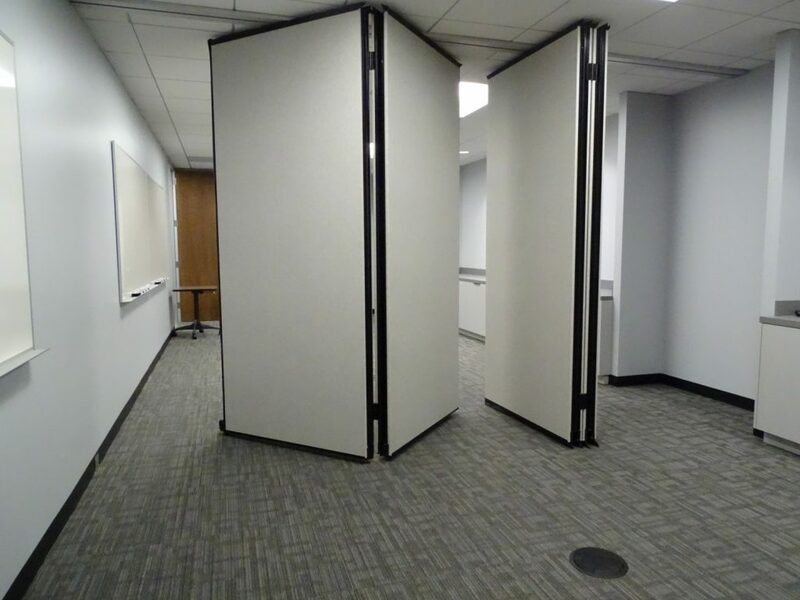 Here’s a good example of how these look, including a video to show how quickly they can be set up. 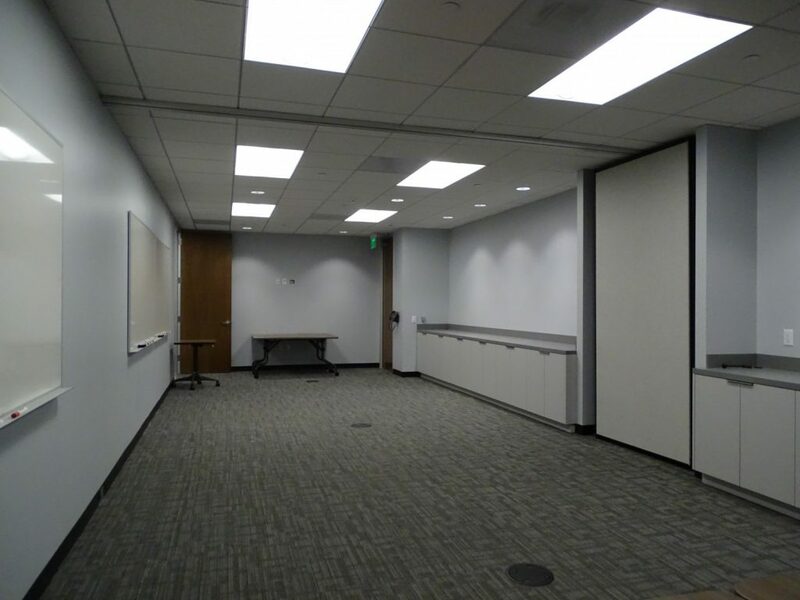 L2 Specialties provided a complete structural support system, Moderco’s 742 Paired Panel System. 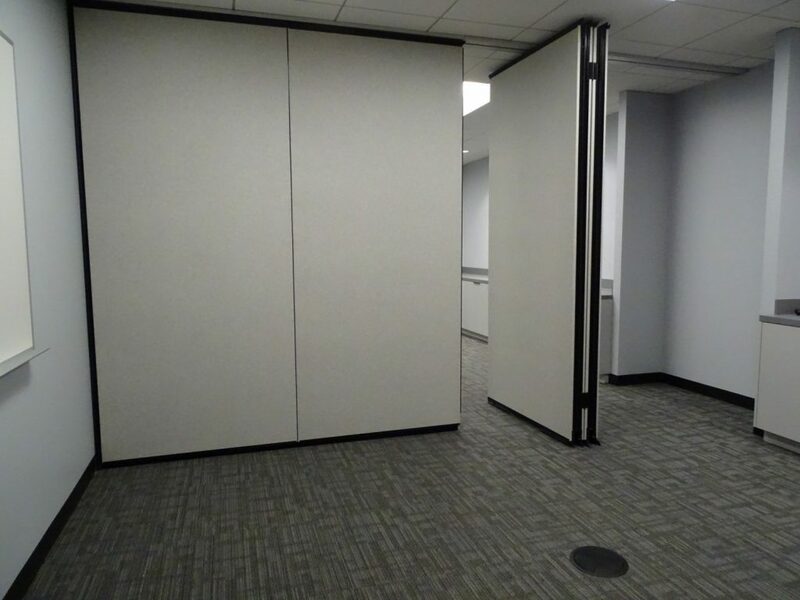 The automatic seals on the moving walls provide ease of setup and 50 STC is always a great choice for privacy in offices. 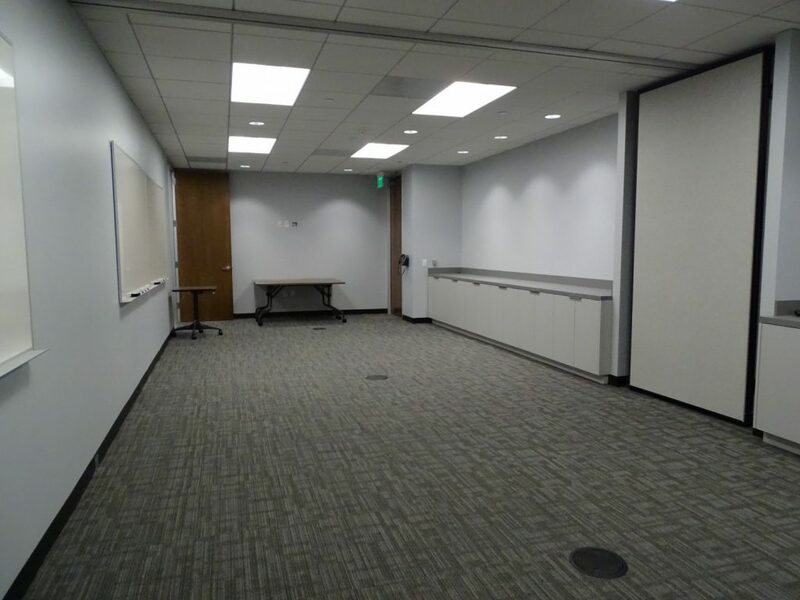 This project was beautifully designed by SAA Interior Architects and we completed this project with Allington Company as GC.